Home > Business skills > Communication skills > Who’s At Fault for Poor Communication in Health Care? 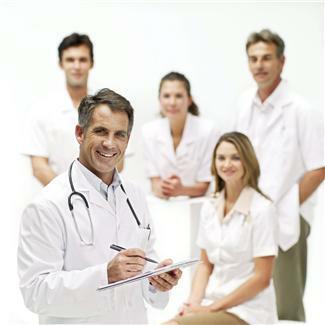 Ultimately, it is the responsibility of the supervising physician to know what’s going on with his/her patient. Failure to supervise is a common allegation when there is a failure in the healthcare team’s care of the patient. A physician may delegate a patient’s care to a non-physician healthcare professional such as an advanced practice nurse or physician’s assistant. If the patient suffers a poor outcome, the physician can be sued for failure to properly oversee the patient’s care…even if he or she has never seen the patient. Vicarious liability and administrative negligence may also be claims that can be made in a medical malpractice case. Employers may be sued for the actions, or inaction, of their employees. If a supervisor fails to review, develop, or refine healthcare policies and procedures, he may be sued. Medical malpractice attorneys need to carefully consider the potential defendants in a malpractice claim. Expert witnesses should evaluate the potential liability of the people involved in the patient’s care and consider the supervision responsibilities. Med League supplies expert witnesses to review medical and nursing malpractice cases. Contact us to learn how we may help you with your next case. Jane D. Heron, RN, BSN, MBA, LNCC is a legal nurse consultant at Med League.